Looking for flexible schedules? Check out these 12 different types of flexible work arrangements you can actually do for your job. Ask most moms what makes them happy with their decision to work not, and you’ll find a common factor. Surprisingly, it’s not whether they work (“I love working and contributing in ways other than being a mom”) or not (“I love being with my kids during the day”). It’s something else. Let’s backtrack six years ago, when I debated returning to work. I use the term “debated” lightly, since my husband and I rely on both our income. Still, I wondered if I had to go back to work with my old schedule. I wanted to spend enough time my eldest where I wouldn’t feel terrible for missing out. But I also wanted to carve some hours for myself (and earn money as well). So my boss and I came up with a flexible work arrangement that included working from home and reduced hours. The difference was noticeable. I was able to both be with my son and at work without feeling overloaded from either camp. And it boils down to that common factor I mentioned in the beginning. The common thread that usually determines whether a mom is happy, working or not. We feel better equipped to balance work and life when we have the flexibility to accommodate both. One of the best ways to find that balance is through flexible work arrangements. I’ve talked about the impact of flexibility, and even shared tips on how to ask for a flexible work schedule. But what exactly are some types of flexible work arrangements? I’m only familiar with your typical 9-to-5 office environment, and my ideas reflect that. If you have a flexible work arrangement that doesn’t fit this mold, please share them in the comments. That said, here are sample flexible work schedules to consider. Work from home in the evenings: Let’s say you need to leave work by 4pm to pick up your child from daycare. You can finish your work by 4pm, pick up your child, then finish your work in the evenings after he’s in bed. Work from home one day (or more) a week: One of the flex schedules I’ve had was to work one day a week from home. Work from home completely. Depending on your work, you can find or request an arrangement that allows you to work remotely 100%. Get more tips about how to work from home with a baby (and actually get things done). Many people—parents or not—have a shifted schedule to avoid traffic. You can work either earlier in the day so you can leave early. Or you can come in and work later as well. Right now, I work earlier and leave earlier in the day. 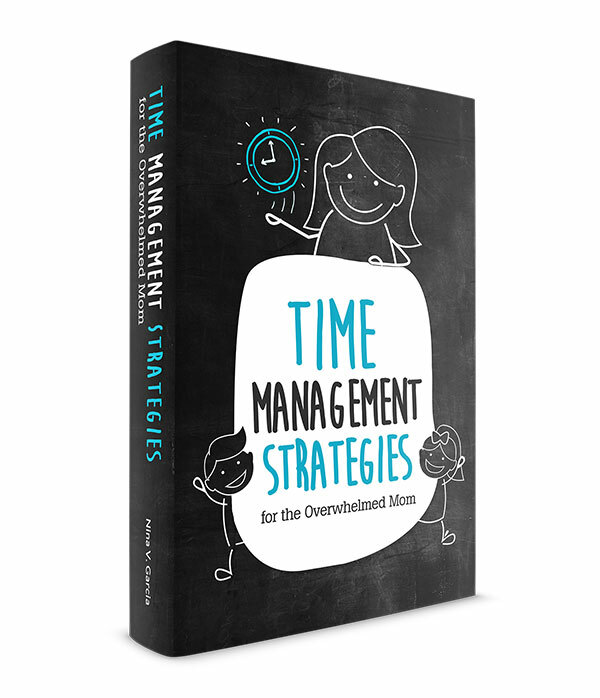 This allows me to pick up my kids from school and be with them in the afternoons. You’d need to coordinate with someone, in my case my husband, to handle mornings. I know parents who work a “graveyard shift” so their kids would always have a parent with them. Some jobs need folks round the clock, so you might work 4pm to midnight, for instance. A version of part time, you and another employee would share the same duties and split one full time job. For instance, you’d come in Monday to Wednesday and she’d come in Thursday and Friday. Or you’d come in 9 to 1 and she’d come in 1 to 5. To the company, the same work gets done, just split between two people. Another way to enjoy a day off while still earning a full-time income is to condense your 40 hours in four days. Your days would be longer, but you’d have one day a week besides the weekends all to yourself. And still another option is to freelance or consult for your company (and/or others). You’d no longer be an employee but a freelancer or consultant working your own hours. You’d lose benefits, but you’d work on your own time. You can either work completely from home or come in to the office when needed. Throughout six years, my flexible work arrangements have changed to accommodate work and home. But no matter what, it’s flexibility that gives me the balance I need so I don’t feel consumed from either side. 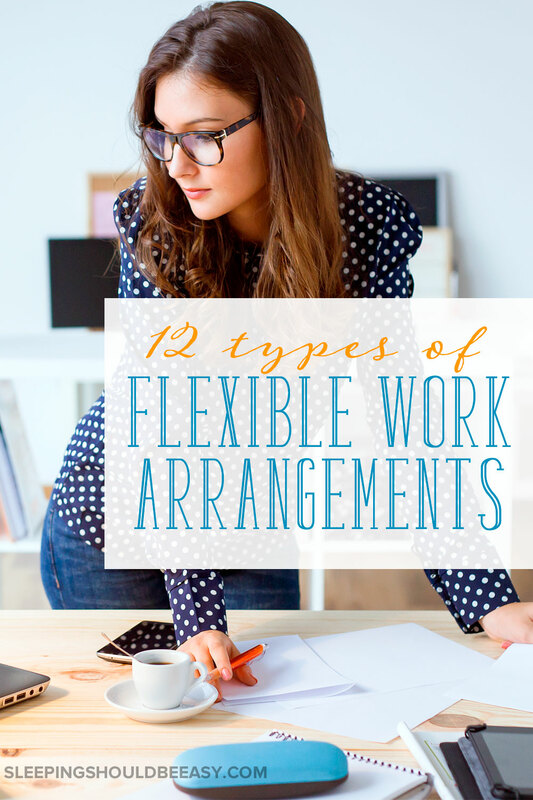 Tell me in the comments: Have you worked a flexible work arrangement? If so, in what work environment? What suggestions do you have for moms looking for flexible schedules? My sister just had a baby. Previously she worked in NYC – very long hours including the commute to and from NJ. It’s the same for her husband. I’ll have to send her this – I’m not sure what they’ll do. My oldest came as a surprise mid-cross-country move so I didn’t really have a career yet. I had worked in inside sales for years, and gave it up to move to California with my then-boyfriend. So the writing/photography stuff was always a part of me, but I didn’t make it a career until after kids. So I’ve been working on the balance and fitting it in where I can. Thanks for sending it to her, Tamara, I appreciate it! It’s especially tough when the commute is long. It’s one thing if work is nearby, but to add a long car ride is crazy too. It’s interesting how you’re doing the typical work-life balance long after your kids have been born. But that’s a struggle too and not always only when the first baby arrives. Sounds like an awesome job to me 😉 Freelance writing would be great for you, Dean. Or maybe an Etsy shop? For many years, I was able to shift my hours to a 6-3 schedule so I could pick up the kids before daycare closed. It worked well for a while, but only as long as I had a boss and customers that were okay with it. I feel so bad for those parents who don’t have these options available! I’m fortunate too. The sad thing is I seem to be the minority. Many moms and dads I talk to can’t seem to swing a flex schedule even if they wanted to. Thanks for the heads up, Betsy. My mistake!